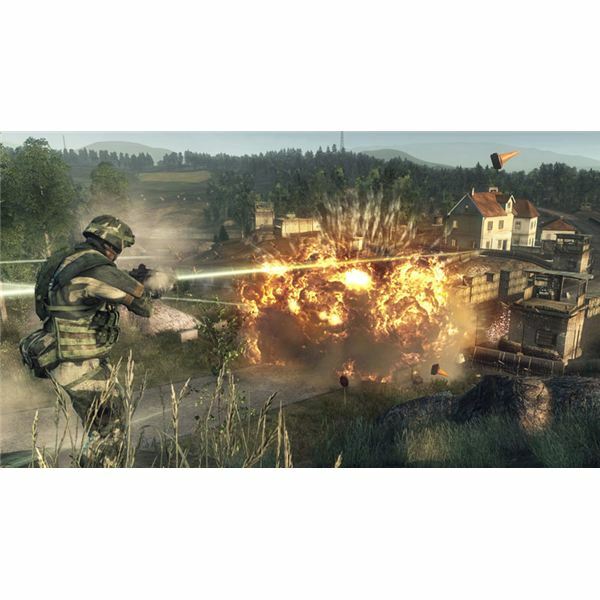 After the all-guns-blazing rush that is Modern Warfare 2, Battlefield Bad Company 2 online multiplayer can feel like a whole new ball game, and a frustrating one at that for players just starting out. The important thing to remember is that Bad Company 2 is a team game, so even if you’re struggling to make an impact on the kills leaderboard, you can still build a decent points total by supporting your squad and completing objectives. 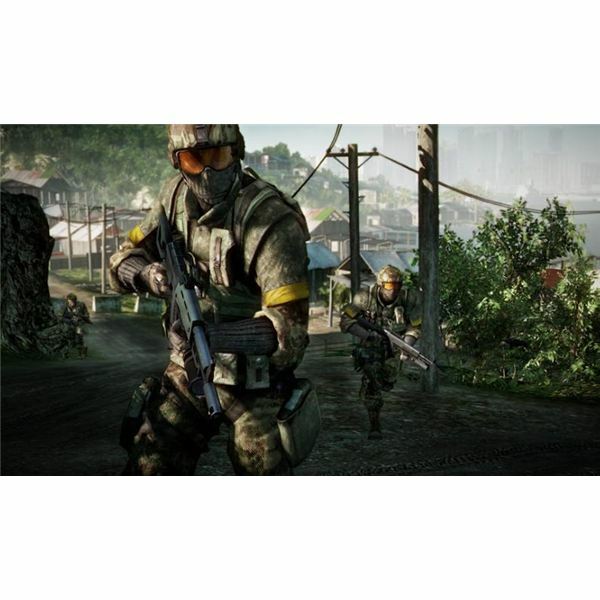 To help you get ahead in the online killing zone, we’ve prepared a selection of the best Battlefield Bad Company 2 tips and tricks, with hints and advice on getting the best out of your weapons and how to approach multiplayer. Careful with your trigger finger! Going full-auto when firing will drastically reduce your accuracy and you’ll end up spraying bullets all over the shop. Keep to short, sharp bursts. Don’t forget your secondary weapon! Both pistols and shotguns are very handy weapons in Battlefield Bad Company 2. Pistols are great for finishing off opponents, especially if you’ve run through your primary weapon’s clip, while the shotguns are lethal up close and personal. If you’ve got the drop on an opponent, use the melee button to knife them and avoid alerting over enemies to your position. You can also break down fences and doors with your knife while saving precious ammo. When defending an area, use mounted weapons such as machine guns to destroy as much cover as you can. Make your enemies have to approach through the open. Conversely, if attacking, use grenades and grenade launchers to destroy mounted positions as early as possible. When sniping, always remember there is significant bullet drop in Bad Company 2. Aim slightly high on top of your normal lead on a moving target. Squad up! This game is no place for lone wolves. Join a squad, stick with them and ensure you support them. Even if you’re a sniper you can make sure you are spotting enemies as you see them. If you’re a medic, stick close to your team mates and really dole out those med-packs when you reach significant choke points on the map. Not only will squad play help you win, but if you want to rank up fast in Battlefield Bad Company 2, the points bonuses for squad play will make a significant difference. Don’t jump between classes when you start out. Getting hold of the best kit, especially for a class like the Medic, requires a significant investment of playing time when you first get going in Bad Company 2 multiplayer. It’s worth sticking to just one class till you’ve levelled up a few times, because after that initial hump, ranking up beomes so much easier thanks to the unlocks. Pick a class that will work in co-ordination with the other three players on your squad. four snipers are no use to anyone, even if you love that class. Spot, spot and spot again! This point cannot be emphasized enough: the moment you lay eyes on an enemy, press the spot button. They will have to run round the map with a big red triangle over their head, while you’ll get a points bonus if one of your team mates takes them down. If you don’t know how to use the vehicles, steer clear of them. A helicopter pilot or tank driver who don’t know what they’re doing is more of a hindrance than a help. Watch some Bad Company 2 commentary videos to pick up how to fly the chopper, since DICE didn’t think to put a tutorial actually in the game itself. With our collection of Battlefield Bad Company 2 tips and tricks, you’ll soon find yourself flying through the ranks. Stick with your squad, learn your class and its weapons and Bad Company 2 multiplayer will quickly become one of the most enjoyable and memorable online gaming experiences this generation has to offer. Take a look at this collection of tips, tricks and secrets for Battlefield: Bad Company 2.